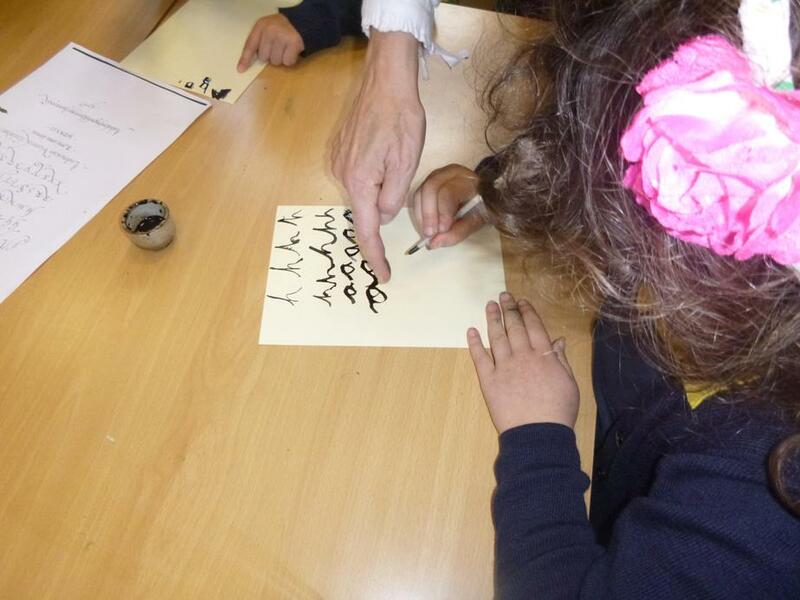 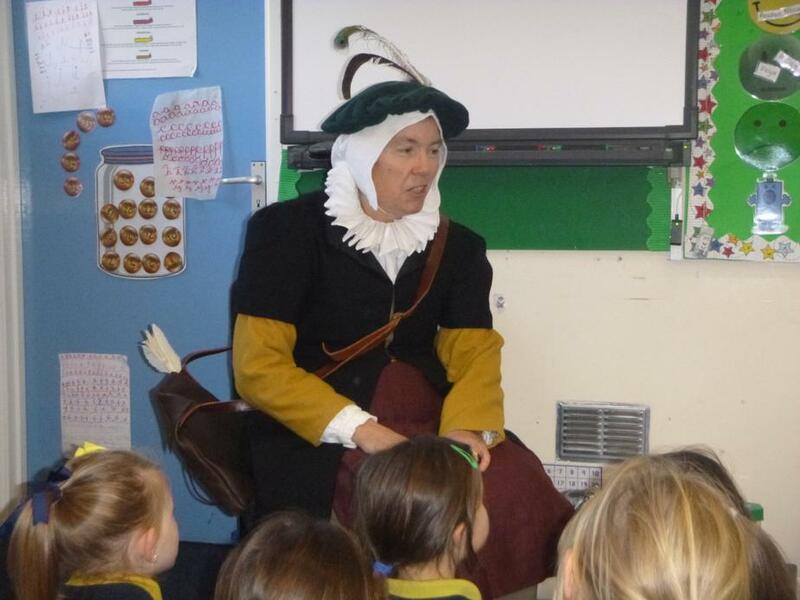 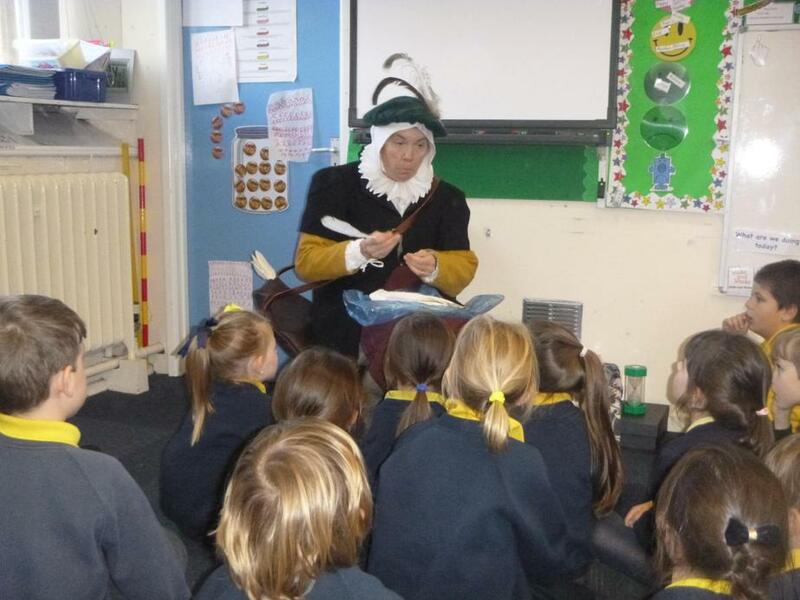 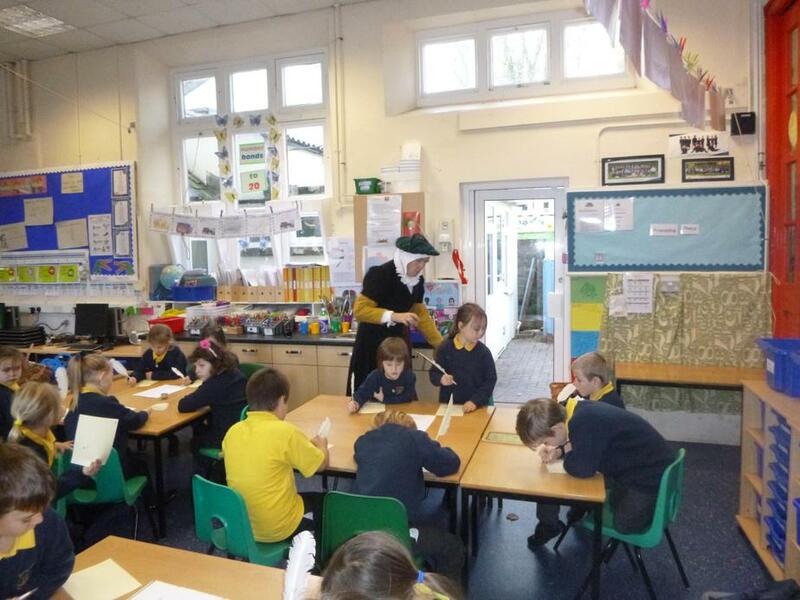 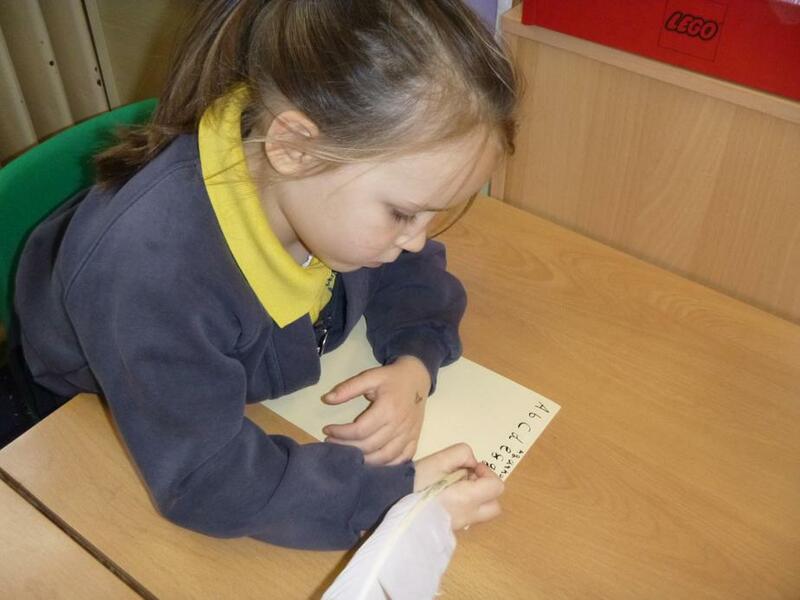 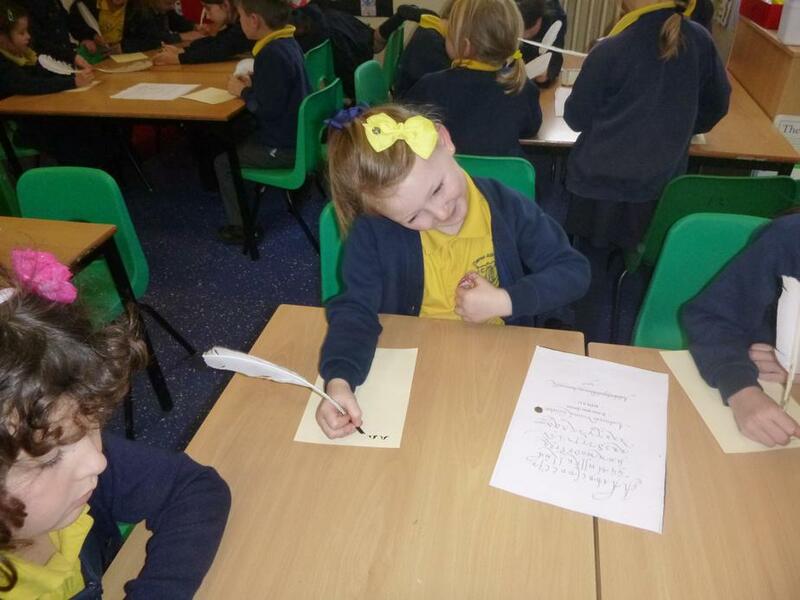 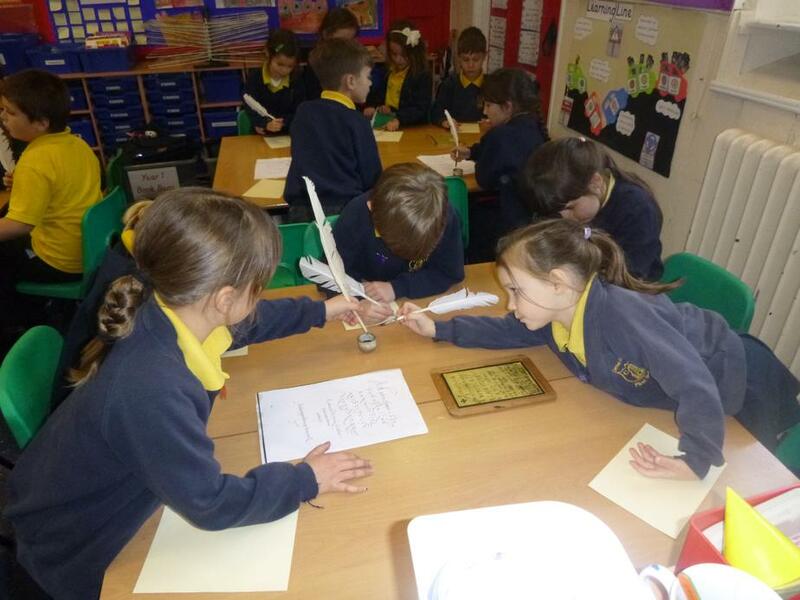 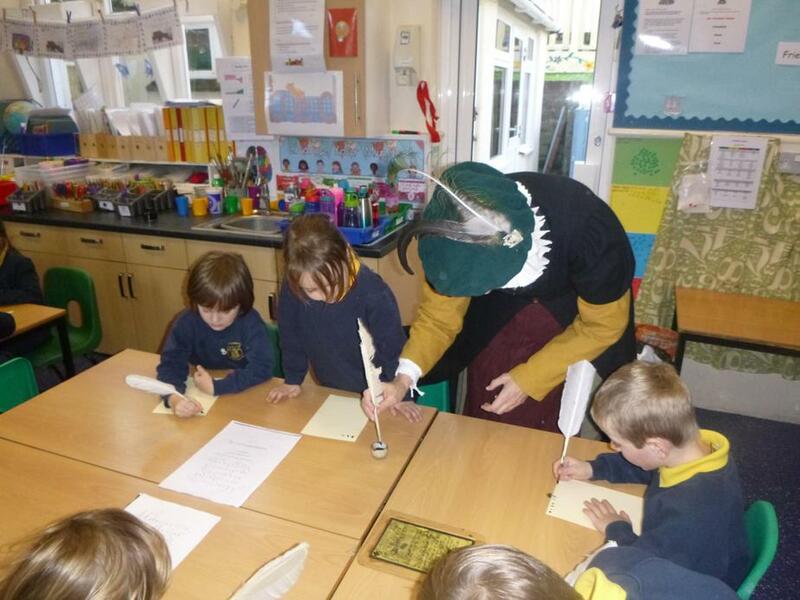 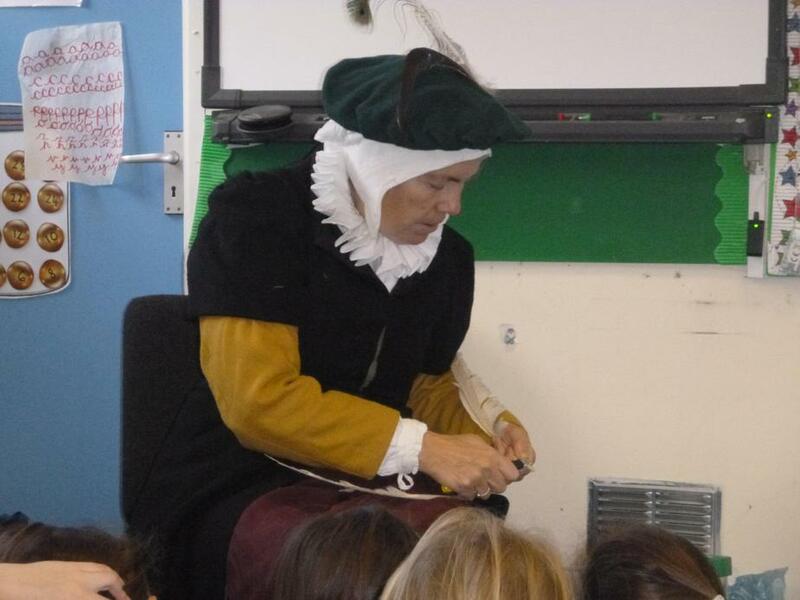 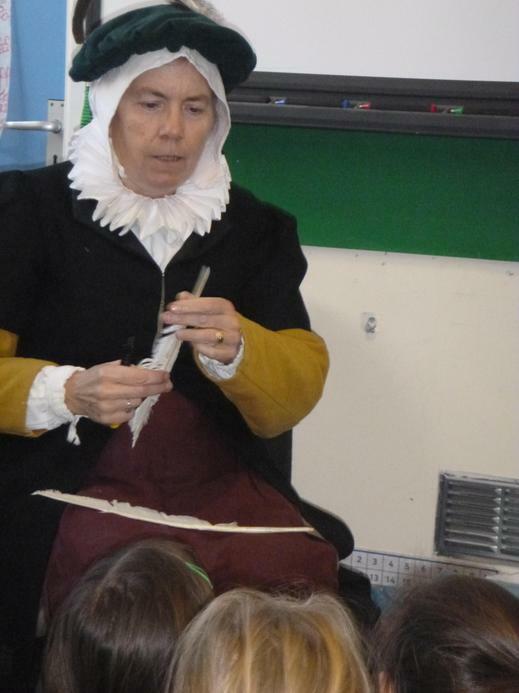 This week a medieval lady came to visit Trendle Class and showed us how to make quill pens out of feathers and how to do medieval writing. 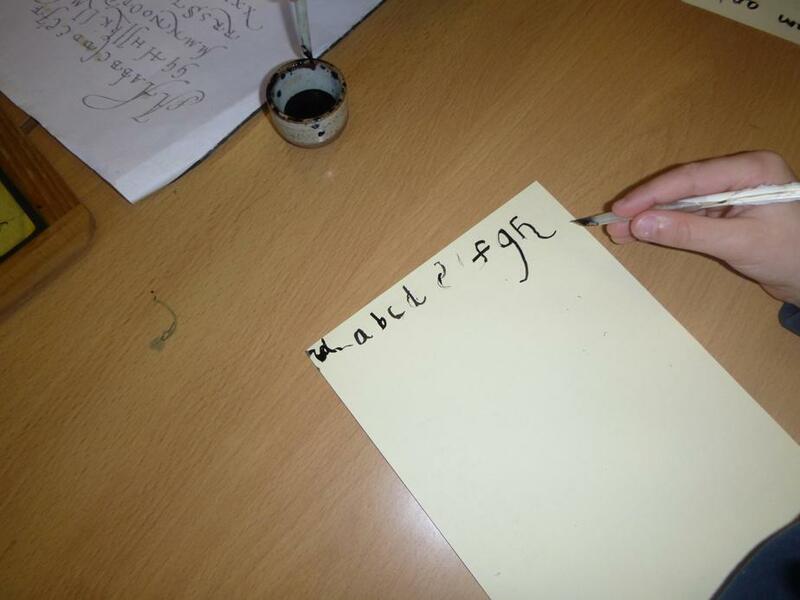 We tried very hard to write with the slopes and loops of their writing and we dipped our quills into ink to do this. 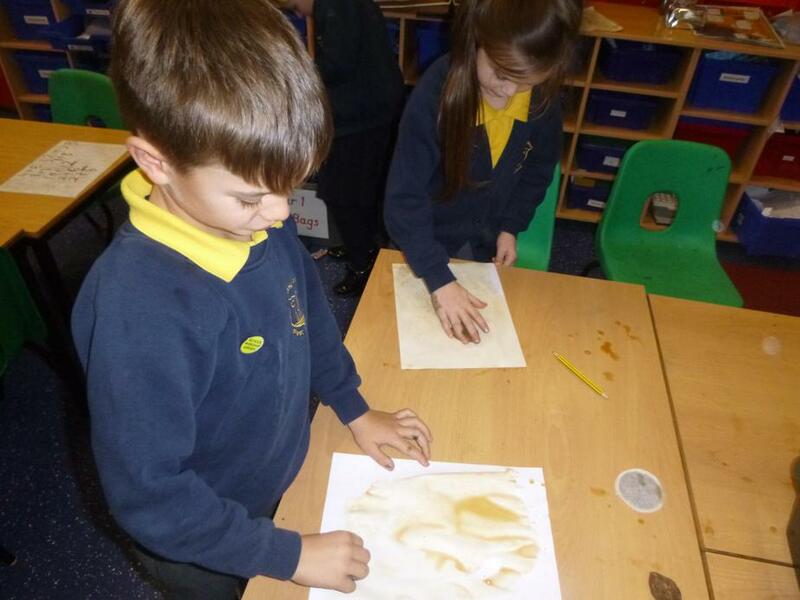 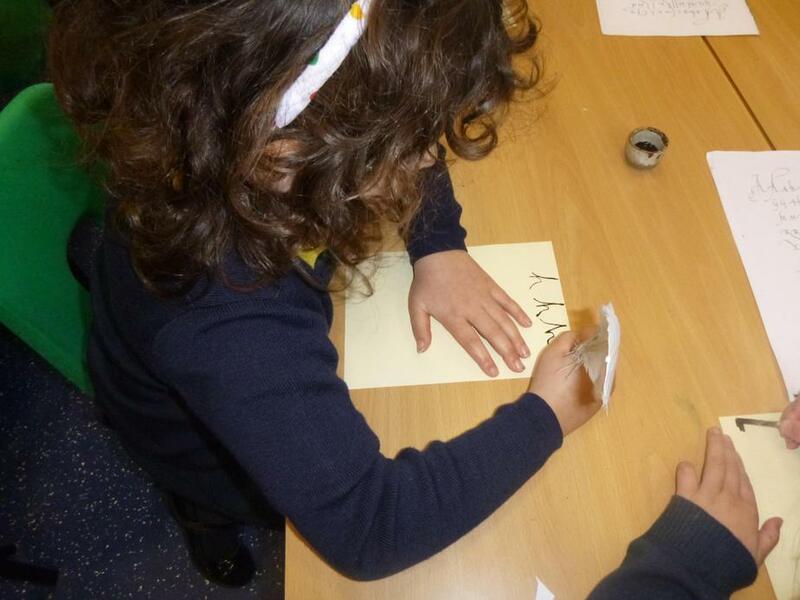 We had to be very careful not to use too much ink or the writing went quite blotchy and messy. 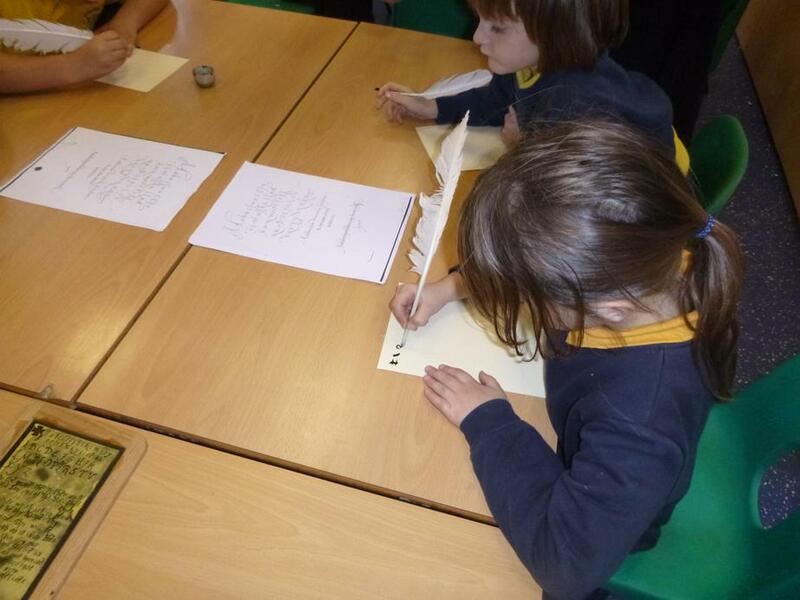 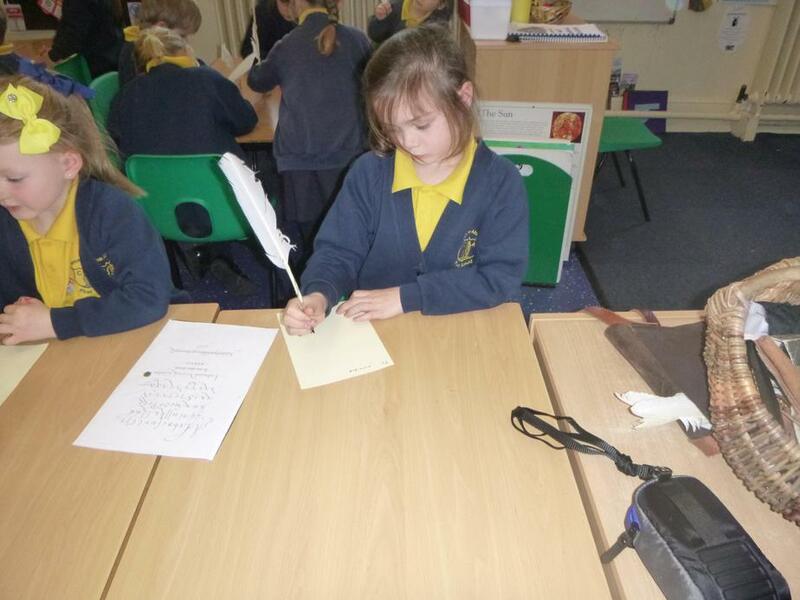 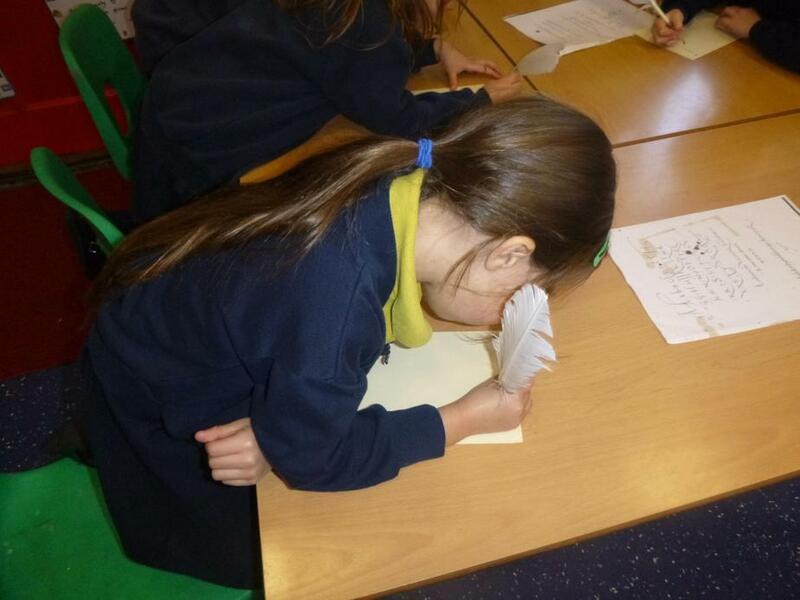 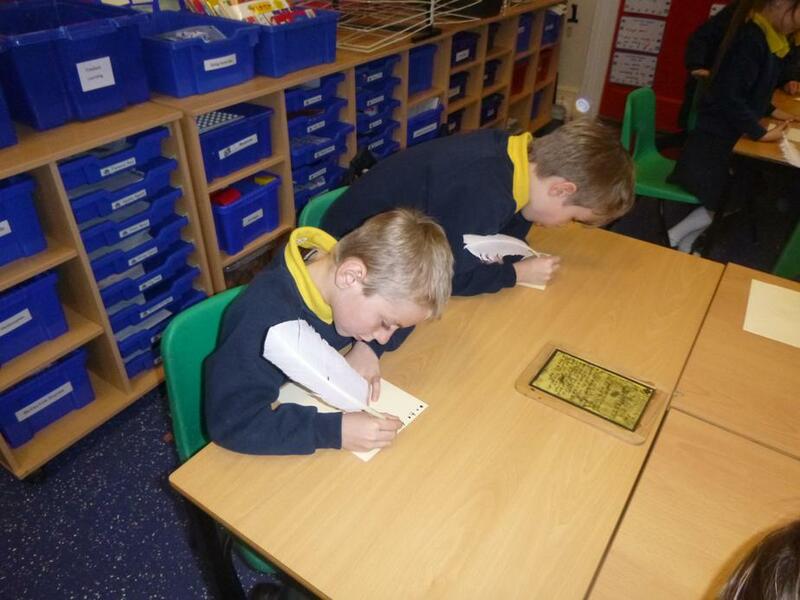 We really enjoyed pretending that we lived in a castle and had to write a letter to our parents.